As this email goes out, I will probably have just landed in Manila and met our dear friend, the unstoppable Dr. Ligaya Acosta, our director of Asia and Oceania. This is my sixth (seventh?) mission to the Philippines since I joined HLI almost five years ago. My colleague and traveling partner, Dr. Brian Clowes, can’t count how many times he has been to this archipelago nation of almost 100 million souls. But we both love coming here, where the hearts of our Filipino brothers and sisters are even warmer than the hot weather that always welcomes us as we disembark from the plane. 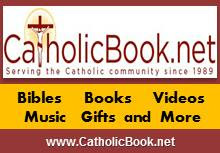 The faith is still strong here, and while there are many reasons for this, one very large reason is because of the reach of EWTN, the Catholic network started by our recently departed and beloved Mother Angelica. Filipinos, of whom almost 80 percent are Catholic, know the fiery Italian nun and evangelist well. I’ve communicated with Michael Warsaw, Mother Dolores, the Friars, and Knights of the Holy Eucharist to express the condolences of the HLI community for the loss of Mother Angelica. It pains me to not be able to join them for the various remembrances of our sister, and to participate in the Holy Mass of Christian burial tomorrow. Their love for Mother is palpable in both their sadness and in their gracious perseverance as they pull together to get through what will be a very busy week full of hospitality and diligence in fulfilling their duties. More than one of my friends have told me that Mother would in no way want me to cancel the mission we have planned, and I know they’re right. My heart is with them in prayer, and I know you all can say the same. I ask you to keep the Poor Clares, the Friars, the Knights and the whole EWTN community in prayer especially during this difficult time. We will certainly be praying for them at our many events in the next eight days in the Philippines. Also, despite well intended and expected calls for Mother’s sainthood to be declared, let us not forget to pray for her soul and not presume that because of her heroic life that she does not need our prayers. You know she would not approve of such an assumption. Our merciful Lord knows all there is to know, and He will use our prayers as He sees fit. Not a prayer is ever wasted when our intentions are submitted to the will of God. I’ll have to leave it there for now. Thank you all for your kind prayers and support of our mission to the Philippines, and of our missionary partners around the world. We pray that the Holy Spirit can do what we can’t, in reaching and changing the hearts of all people of good will, whether through EWTN’s broadcasts, our missions, and the efforts of faithful Catholics all over the world. To God be the glory, now and forever. Amen! Get the latest fact-based brochure, Does Legal Abortion Save Lives, exposing the myth that abortion is healthy. Bulk discounts available. Share this must-read brochure, Depo-Provera, and educate others about Depo’s sixty-plus unhealthy side effects. Bulk discounts available. In Negative Effects of the Pill, learn the truth about how contraception is not only dangerous to the human body – but to the environment too! Bulk discounts available. “Safe, Legal and Rare” is a common refrain of abortion supporters. However, a legal late-term procedure known as “dismemberment abortion” carries significant risk to the health of the mother and requires the baby’s limbs to be torn from his or her body. This results in an increased risk of infection and laceration for the mother. But it is still legal in Pennsylvania. Obviously the procedure is lethal to the unborn baby as well. Medical research shows that babies feel pain and can live outside the womb at 20 weeks, yet the dismemberment abortion is allowed in Pennsylvania until 24 weeks, or about 6 months gestation. Would you be surprised to find out that only 7 countries allow elective late term abortions, and in addition to North Korea and China, the U.S. is one of them? 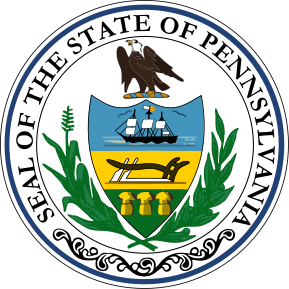 Even though survey after survey shows that Americans want to limit late-term abortions, here in Pennsylvania babies can be aborted until six months gestation. It’s time to update PA’s laws to be in line with the will of most Americans as well as medical advancements that reveal the baby’s ability to feel pain and live outside the womb. And we should continue to work to support women and men who are faced with unplanned pregnancies, so that they don’t feel abortion is their only option. Send a message to your elected officials today asking them to ban all dismemberment abortions in Pennsylvania as well as all abortions after 20 weeks, when the baby can feel pain and risks to the health of the mother increase significantly. The apparition lasted 5 minutes from 9:45am to 9:50am. Our Lady blessed everyone and gave a message. She was resolute and clear in Her words. Our Lady was resolute and clear in Her words because this was very important! This call was decisive for our times. We are living in the time of Mercy, and it is Mercy that will triumph through us if we let it. She needs us to be Mercy, like her Son is Mercy. Jesus needs us to extol His Mercy and adore it, because it is the last grace, the final gift to the world! Oh Jesus, Divine Mercy, may we become like You, through love. May we extol Your Mercy with our hearts and our actions. O Jesus, Divine Mercy, we adore You! Democratic presidential candidate Hillary Clinton almost sounds pro-life – when she’s talking about gun control, that is. The bio-tech firm that purchases aborted baby parts and fully intact aborted babies from the Planned Parenthood abortion business is stonewalling Congress in its attempt to research and investigate the sales. The abortion president, Barack Obama, has made use of his last months in office to give yet another gift to the abortion industry, a leading pro-life Congressman said today. Having a celebrity in an elected office is nothing new. Ronald Reagan was a film actor before he became president, and current Republican presidential front-runner Donald Trump has been in the public spotlight for years. A bill to ban dismemberment abortions has been approved by the Mississippi State Senate. This 40 to 6 vote comes after the Mississippi House of Representatives passed House Bill 519 on a vote of 83-33 back in February.